The time has come to update your hospital’s outdated receiving software and consider what is truly needed – an automated order and package delivery tracking system. Why? Your receiving software is outdated and valuable staff are still involved in the time-intensive practice of manually logging in packages. You know an update is needed, but what are the most important features to look for in an integrated order and package tracking system? Can it track inbound purchase orders? There are many automated solutions (package tracking applications) built to help hospital staff track packages, but what about inbound purchase orders? You know, orders of the incredibly valuable variety – items being ordered and received at your hospital each day? Items that amount to millions of dollars? Yes, there are package tracking apps that can automate the manual processes of staff using hand-written logs to document the packages they receive. But a true state-of-the-art tracking solution does something more, it integrates with your facility’s current ERP/MMIS system, so you can track inbound purchase orders. …into one smooth-running state-of-the-art integrated order and package tracking system! Providing your staff with a fast, one-step process involving no duplicate entry. Receiving personnel at your facility will not have to look up where the order is supposed to go in the ERP, and then go through the labor-intensive process of reentering that data into the tracking system. A solution that combines two systems means that this stuff is done in the background, seamlessly. Our own VueLink turns a time-wasting two system process requiring repeat entry, into a quick and painless, one-step operation. And that’s the key to streamlining your hospital’s dock-to-delivery process – integration into your current ERP/MMIS system. Here’s a typical scenario: You have a two system, multi-step process. Even if you do have a package tracking app built to replace manual logbook entry, there is still that crucial step 2–entering the purchase order confirmation data into the ERP/MMIS. That’s why the best order and package tracking software should easily integrate into your hospital’s current ERP or MMIS system. This creates a seamless one-step solution. If your package tracking solution can work with preexisting systems, your hospital’s productivity will increase, efficiency will skyrocket, and your ROI will get a boost as well. Any package tracking system that can’t play nice and exchange order detail information with an existing ERP/MMIS system will simply create an additional workload for your already hard-pressed staff, adding costly staff hours to your overloaded budget. Sure you can create half-baked workarounds that are complex, time-wasting, and frustrating, all while increasing stress levels as your ROI plummets, and resources are stretched to the max. But a better solution is to install a full-circle order and package tracking system at your hospital. An automated system that does it all, or at least does almost everything your hospital needs. 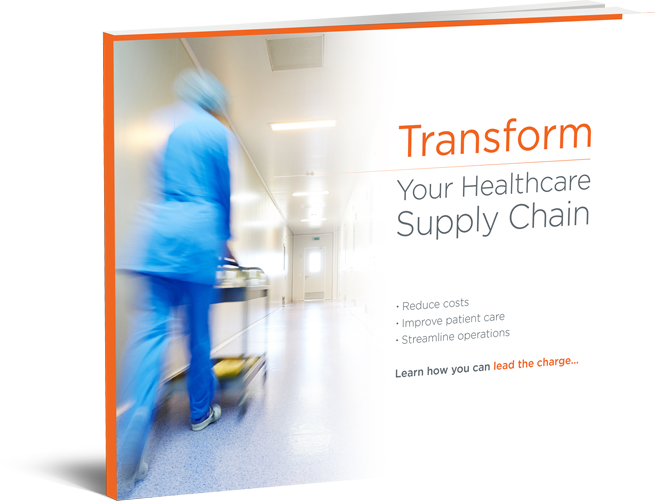 So, how can your hospital streamline it’s dock-to-delivery process? Purchase a solution that integrates with your hospital’s current ERP or MMIS system. A tracking system that automatically pulls key information (purchase order numbers, requisition numbers, details on the buyer and vendor, routing information, etc.) from the current receipt completed in your hospital’s system. Basically you want a solution that makes it easy to exchange information with your own big systems. This way you can gain hundreds of hours of productivity each week, standardize order processing, create vendor performance metrics, eliminate those dreaded “where’s my package?” calls, and more. This way you have a fast, one-step process with no duplicate entry. And most importantly, ALL of the delivery information of items coming into your hospital—purchase order, requestor, internal delivery address, requisition number, actually any data a customer wants—is pulled from the ERP into your tracking system. Your receiving staff will no longer have to investigate exactly where the order should go in the ERP, and then have to re-enter that data into the system, because it will all be taken care of in the background. This way, your staff will have a one-stop portal to find an order or parcel by any of the data points, including carrier tracking number, requisition ID, P.O., and more. Look for a system that doesn’t only track packages. 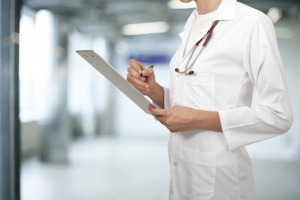 Look for vendor neutral integration to your hospital’s ERP/MMIS system. If you’re seeking an advanced integrated order and package tracking system for your hospital, we’d love to help. Contact us today for more information! Do you need to see it for yourself? Schedule a free personalized demo today!